Grew Up… in Heaven. Castiel is an angel and a warrior of God. He was taught total obedience to hierarchy of Heaven. Living… sometimes in Heaven and sometimes on Earth. 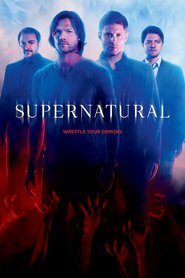 He is currently trying to help Sam and Dean Winchester, two human hunters of the supernatural who have a role to play in the upcoming battle between Hell and Heaven. Profession… angel, which he takes very seriously. Castiel has never questioned what it means to be an angel or to obey the commands of Heaven...until he met Sam and Dean. Challenge… taking care of Sam and Dean, and figuring out where his loyalties lie. It’s true that Heaven charged him with protecting Dean, and he’s willing to do that. But Dean keeps questioning the way the angels run things, and it’s making Castiel question too. His affection for the Winchesters is beginning to cloud the purity of his resolve. Personality… intense and a little strange. Castiel was absolutely confident in the justice of Heaven. Now he’s not sure anymore, and that makes him unpredictable. What is predictable is his lack of normal social skills. He doesn’t respect personal space, doesn’t understand jokes, and is confused by Dean’s constant use of colloquial language. But underneath the Spock-like exterior, he is a true believer in God. If only he knew where God was, and if he was coming back. Castiel 's popularity ranking on CharacTour is #7 out of 5,000+ characters. See our top-ranked characters and read their profiles.